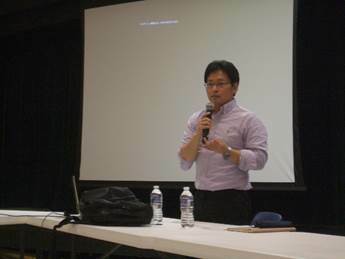 This seminar was held in the auditorium/cafeteria of the Newport News Japanese School and organized by this school and the Society. We invited Dr. Hiroki Yoshikawa from Virginia Commonwealth University. He lectured on Pneumonia. The theme of this lecture was "Can Pneumonia be prevented?". At the same time, we invited security advisors for the Japanese Embassy. They lectured on household or individual measures against terrorism. Twenty-five (25) people attended, and most of them were from the Newport News Japanese School. Dr. Yoshikawa explained on Types, Infection Route, and Treatment of Pneumonia in plain terms. 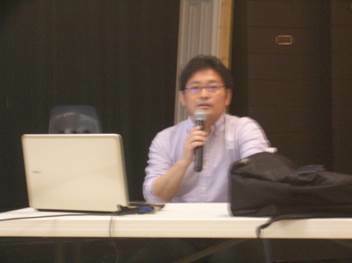 He returned questions regarding pediatric infections from parents of Japanese Saturday School students.